7 AM at Agra Cantonment Railway Station. I was waiting for my train to Delhi. 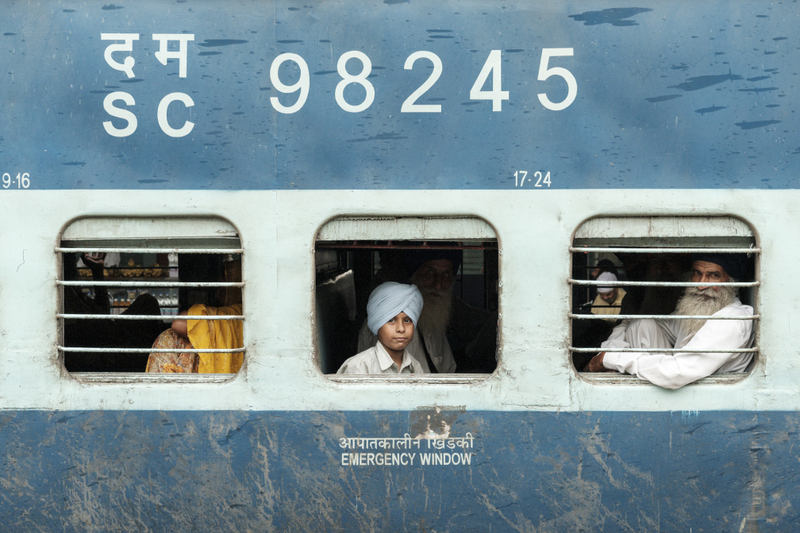 Suddenly another train stopped right in front of me and I saw a sikh boy. He started looking at me and smiling at me. Quickly I took my camera and I just shot one picture. This magic scene. I will never forget him, wherever he is.